Last year, Phil Molony marked his milestone 25th Sydney Hobart with Papillon and finished 17th overall and 9th in Division 3. 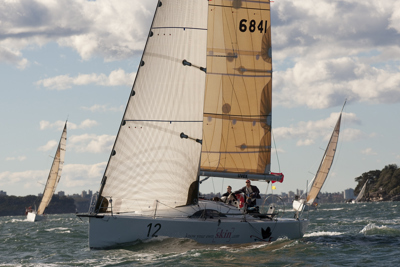 His Hobart races have mainly been aboard other people’s yachts, but the Sydneysider took the plunge in 2007, buying his first Papillon and upgraded to his latest Papillon in 2010. His first Hobart with her was 2011, with a finish of 19th overall and subsequently finished 31st in 2012 and 19th in 2013. Due to good results, Molony was named 2014 Veteran Ocean Racer of the Year. Afterwards, he finished an uncustomary 18th overall in the 2014 Blue Water Pointscore, partially due to missing two of the six-race series.